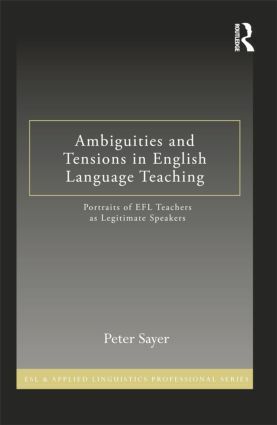 The central theme of this book is the ambiguities and tensions teachers face as they attempt to position themselves in ways that legitimize them as language teachers, and as English speakers. Focusing on three EFL teachers and their schools in the southern Mexican state of Oaxaca, it documents how ordinary practices of language educators are shaped by their social context, and examines the roles, identities, and ideologies that teachers create in order to navigate and negotiate their specific context. It is unique in bringing together several current theoretical and methodological developments in TESOL and applied linguistics: the performance of language ideologies and identities, critical TESOL pedagogy and research, and ethnographic methods in research on language learning and teaching. Balancing and blending descriptive reporting of the teachers and their contexts with a theoretical discussion which connects their local concerns and practices to broader issues in TESOL in international contexts, it allows readers to appreciate the subtle complexities that give rise to the “tensions and ambiguities” in EFL teachers’ professional lives. Peter Sayer is Assistant Professor of Applied Linguistics/TESOL in the Department of Bicultural-Bilingual Studies at the University of Texas at San Antonio.